PlayStation Plus Free Games: What Should Sony Offer? PlayStation Plus Free Games: Big Games You Have or Small Games You Don’t? Even with the increase to $59.99 per year going into effect on September 22, PlayStation Plus is a great deal. You likely pay more for your phone bill in a month than you do on PS Plus in a year. 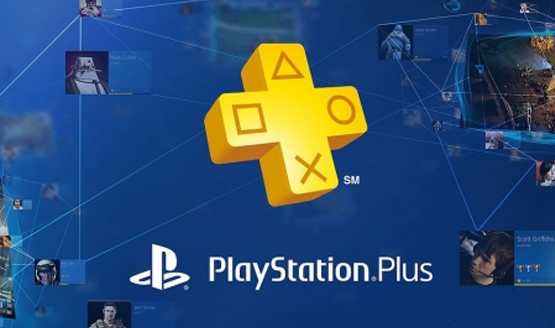 PS Plus free games, online access, PS Plus sales and deals. These are all things that make the cost of entry more than worth it, even as many gamers basically see $60 a year getting flushed down the toilet Though I’m the type of person to see PlayStation Plus as a great value regardless, this isn’t a conversation about the inherent value of PlayStation Plus, or comparing it to your bevy of other monthly bills. That’s a rant I’ll go off on another time. Seeing the September PlayStation Plus free games leak got me thinking about where I place value within the Instant Game Collection. It wasn’t too long ago that I was stoked to make full use out of all six games offered. I was easily zipping between my PS4, PS3, and Vita enjoying at least two free games on each, sometimes more with cross-buy. If there were one or two, or hell, even four games I didn’t much care for, I was still guaranteed to be set up with at least one or two games that I was getting enjoyment out of. Lately though, my PS4 has taken precedence, at it seems that’s where Sony’s focus is too. Sure, they might still have PS3 and Vita titles in the Plus lineup, but Plus’ largest benefit is to PS4 owners. As more players adopt the current generation of consoles, more people are putting away their PS3 and sadly forgetting to charge their Vita in favor of holding that DualShock 4. So recently, I’ve looked only at what games are coming to PS4, meaning my smorgasbord of six titles has been cut by 66%. With only two PlayStation Plus free games to get excited for each. month, there’s a lot more riding on the reveal of what’s coming. Seeing September’s leaked selection was a huge disappointment to me, not because these are bad games by any stretch of the term. In fact, they are both great games, and are a couple of gems to be added to the collections of anyone that missed them. No, I was disappointed because I already own these games. I platinumed Second Son ages ago. In fact, I reviewed it when it first released. And my wife reviewed Child of Light, so I had plenty of time to play and enjoy that one. Reviewing these games brings into play a unique perspective that I will address in a moment. Even when I wasn’t a games journalist, I was an avid gamer. I felt like I had and played every bigger game, and a fair amount of the smaller ones. Over the last year, there’s been an outpouring of disdain for the PS Plus free games, having mostly been selections of indie titles or relatively unknown games that fail to garner attention. For some reason, people expect that paying the equivalent of $5 means they ought to be getting at least one triple-A title in that mix. And yet, I find I’m more disappointed with the big release. Often if a triple-A game is added to Plus, the only reason I don’t already have it is because it’s something I wasn’t interested in getting anyway. In every other case, I already own it, and chances are there’s a good majority of Plus subscribers who do too. Is it a good title to have added to the Instant Game Collection? Absolutely, but does it provide any sense of value to my Plus membership? Not really. It’s a selfish tack to take, but is a far more common level of disappointment than you would think. Now, when a smaller indie title rolls around, I’m happy to try it out. Often these are games that escaped my radar, or I just didn’t have the time to play, often focusing on bigger releases. I’ve discovered a treasure trove of games through the Instant Game Collection that I would have never otherwise played, and most often these are the same games that people are calling “crap indies” and a “bad” month for PS Plus. I dare say that most of these accusations are knee-jerk reactions. That’s not to say that I don’t land on the other side of the fence too. Sometimes I try the PlayStation Plus free games, and they are just plain not fun. I’m not going to spend time playing the game just because I subscribe. I cut my losses, thinking of these as a bonus rather than an expected part of the subscription. And there have been bigger games I’ve happily added to my library, having missed at launch. 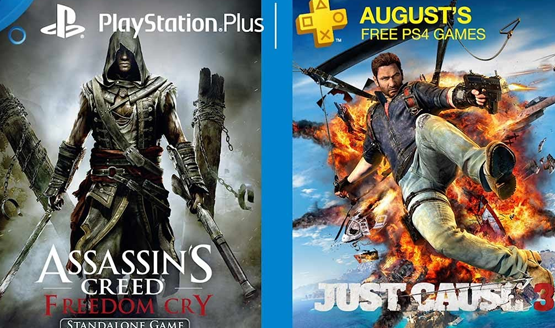 August’s Assassin’s Creed Freedom Cry and Just Cause 3 are now taking up space on my PS4, and I have no idea when I will finally get a chance to play them. Unfortunately, being a reviewer puts me in the odd position of having played more games than most, so I’m a unique outlier when a month rolls around and I already own everything being offered. I try to acknowledge this and see it as a good month for other people, but I still think complaints of “I already own this” would be a lot more common if Sony offered triple-A games regularly. What this is coming down to is that there is no good answer, and there’s certainly no way to make every single subscriber happy. I think the PlayStation Plus free games can be a great tool for a few things. Being added can help to revitalize online communities for games that rely on them and it can shed light on small indie games and studios that may never otherwise receive the attention they deserve. We ought to be thinking more about what games would benefit from being on Plus, as opposed to just what we don’t want to pay for (yes, yes, I know, you technically pay for them through the subscription. Semantics.). I, for one, would be happy to see games that I love with dying online communties get offered, even if I already own those titles, because I know it benefits that game’s community and lifeblood. And it’s always a joy to see an indie game I am fond of get recognition by being a Plus free game. Everyone is going to place their own value on that $60 every year, and it’s easy to look at a single month and think “I paid $60 for this?! ?” Instead we should look at everything that Plus does, not only our own subscriptions, but the benefits that the service offers to Sony, gamers, and other developers as a whole. Or not. I mean, let’s face it. I’m really only paying for Plus so I can play Destiny 2 anyway.